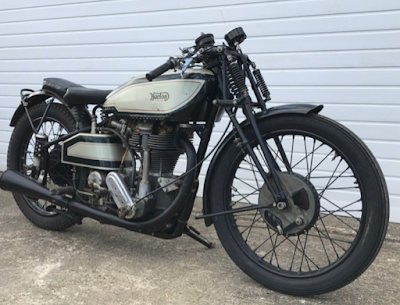 -JdK- Heiko has for sale a 1927 Model 16H Norton. The frame number is 27656, the engine number is 34508. It is an older restoration and it is running. There are no old documents with the bike. The Norton is located in Germany. He is asking 17500 Euro or 15000 GBP. Please contact Heiko directly via phone number is 49162 4777394. 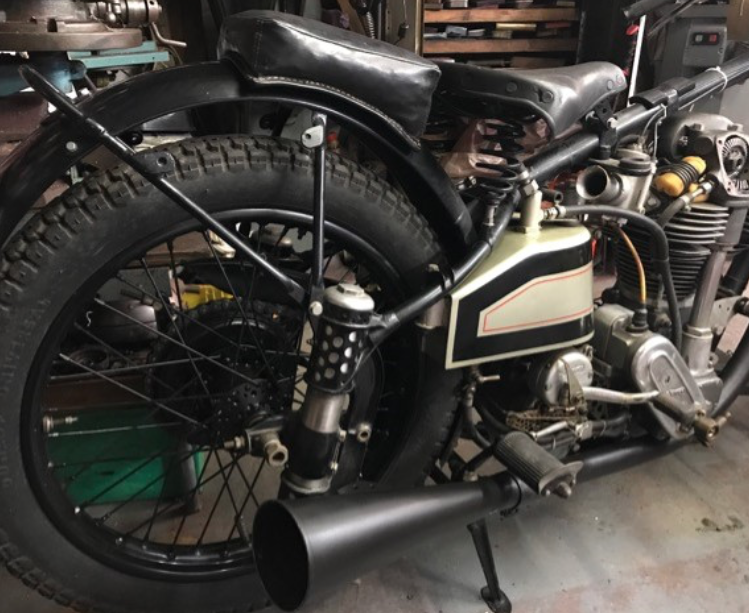 -SG- We recently posted 'then and now' photos of the special dry sump ES2 used by Harvey Pilling in the 1929 TT. Paul, the present owner, has decided to retain the four speed SA box which has been fitted to the bike for many years but is missing some of the positive stop footchange parts. Photos attached show the parts he is seeking - if anyone has any spares, please get in touch with us and we will put Paul in touch. Another point of interest - Paul has recently obtained a twin float Binks to suit the machine - singularly hard to find these days and almost certainly the right one for this machine. Photos attached for information! -SG- I have to admit I don't subscribe to Classic Bike magazine on a regular basis but this pleasing period photo appeared in their June 2018 issue and Rick Parkington has kindly put me in touch with Chris Rod, who sent it in. Chris has given us the OK to put it on the web site and he writes ... "This is my uncle 'Grip' Hyde of Weymouth, with his future wife and brother-in-law, dating from the late twenties. My mother remembered learning to ride her brother's Norton while in her teens until her mum put a stop to her fun!" Many thanks to Chris and Rick. -Richard- Dan just added this machine to his collection. It has been in Sweden for the last 60 years. Lots of mods over the years and last run in early 2000. It is a replica of a 1936/7 works racer, as it has features from both years. The frame has all the features as used on the 1936 works machine and is possibly a genuine item or at least a very accurately reproduced copy. 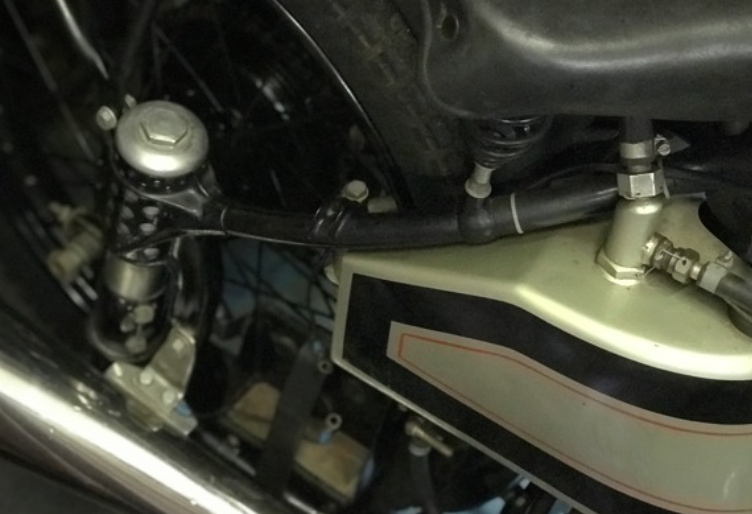 It is difficult to see the front forks clearly, but the top yoke and handlebar clamps are from a 16H. The wheels and petrol tank look to be racing specification from 1937/8. The oil tank is of a shape similar to the ones made by Francis Beart in the late 1940s, but is much larger capacity so probably a one-off. The engine and gearbox look to be post-war, the engine having had replacement crankcases which was quite common in the 1950s. Also the clutch lifting mechanism has been modified, possibly because of the oversize oil tank. Generally, this is a very desirable machine which, with some component changes, will be a close replica of a works machine and I look forward to seeing it at an event in the U.K. soon. 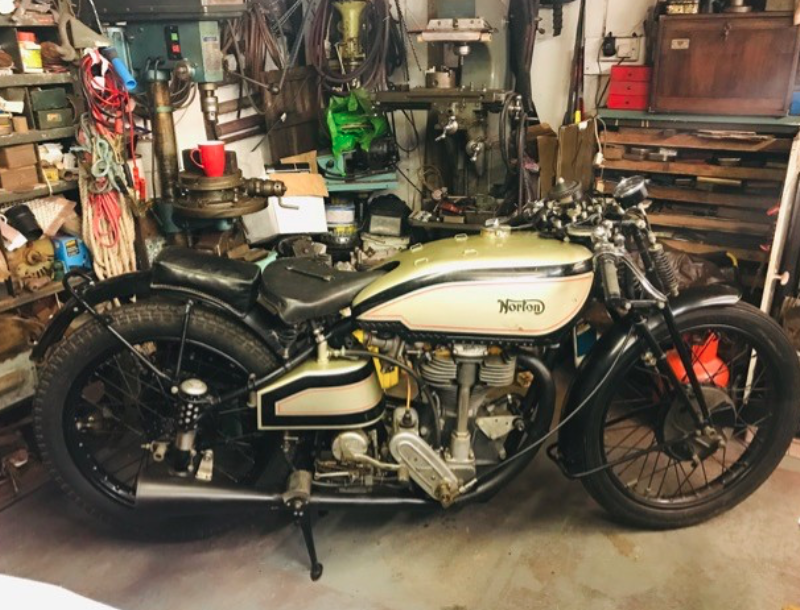 Dan is looking for the following parts (or drawings) to complete the bike: a correct works type engine shock absorber, six spring clutch and also the correct forks or parts. Please contact us when you can help. "My Big 4 has all matching numbers and was supplied through the New Zealand agents Galbraith and Grant, with an original lighting set and dynamo as optional equipment, at the time of purchase. It was also fitted with a family sidecar for which I have the chassis and wheel, the latter complete with a 'Norton' hub cap. The sidecar I sometimes have fitted now is of more modern construction but still looks 'period'. According to the records, the machine was dispatched from the Norton factory on 13th November 1928. Restoration of the solo motorcycle from a disassembled state was completed in 2009." -SG- ... needs no introduction to visitors to this site. Post war - apart from his preparation of racing machines - he was also involved in engine preparation for 500cc racing cars, most of which were OHC Norton powered. The interesting article attached (click this link) was sent to me recently and was I believe, first published in 'Motor Sport' in 1946. 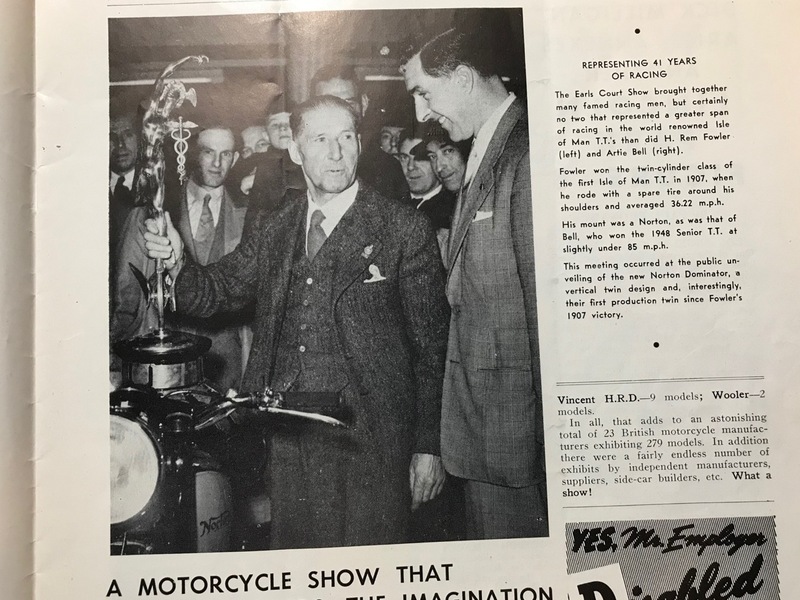 -Barry- Just going through some of my duplicate magazines to list on eBay and came across this photo in a 1949 “Motorcyclist “ magazine ( USA) thought you might find it interesting. 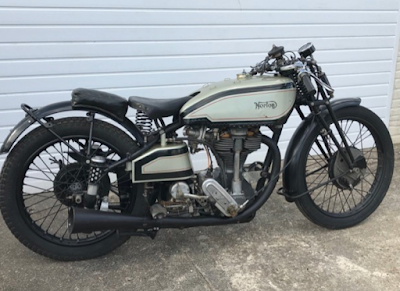 -SG- I exchanged several interesting messages with Neil during the latter part of last year - Neil is the current owner of one of the late Ron Beecroft's 1929 CS1s, which was supplied to Pillings of Bury (Lancashire) in June 1929. Neil has carried out a lot of investigation to try and establish early registration details etc of his machine and these are, I think, still ongoing. 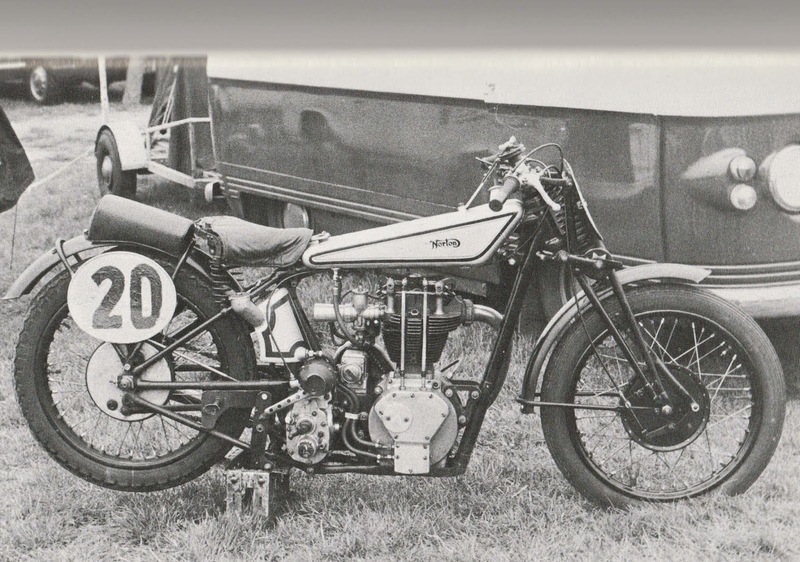 However, in the course of these enquiries he established that Harvey Pilling - one of the sons of the business owner Jack Pilling - rode a dry sump ES2 in the 1929 TT, retiring on his fourth lap. Thanks to Neil, an action photo is attached and I was fortunate to locate the bike in the records. 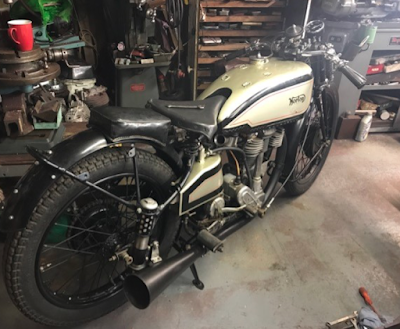 It seems to have been rather special, being described as 'Mr Moore's Special for the TT' and was supplied with spare sprockets, spare HC piston, long pipe and was fitted with a twin float Amal carb. (At this juncture - as the type 29 Amal was not yet in general production - this is likely to have been one of the Amal-Binks carbs. which were fitted to various 1929 ES2s and CS1s.) Harvey Pilling apparently rode twice more in the IOM - finishing 16th in the Junior in 1932 and retiring in the '47 Junior Clubman's event. 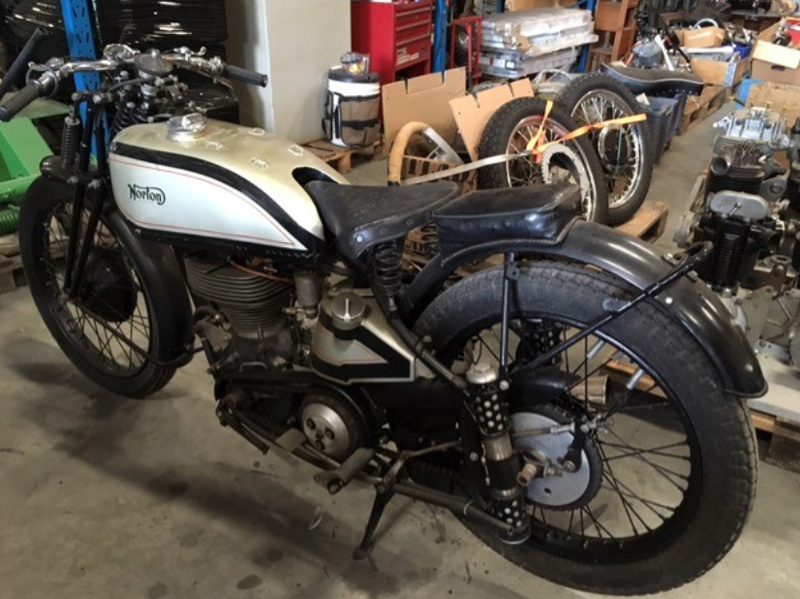 More recently, we have been contacted by Paul who, it seems, actually owns Harvey's 1929 mount. This was owned for some years by the late Wilf Green and was used for Vintage racing by Geoff Pollard in the late seventies/eighties. A shot of it in its then state is also attached from which sundry modifications can be seen. Paul wants to return it to its original specification as far as possible. "I did not doubt that the engine had been used in 633cc form but I did not accept that the Montlhery records were taken with it but in its 588cc form. However, in the light of the pictures of the frame which must have been part of the team, I decided to do some more digging. I was puzzled as to why the flywheels would have been marked 633 as they would have been the same for the 588 engine as the only difference would have been the larger bore while the stroke remained the same. 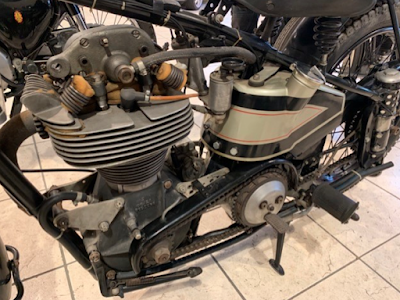 I have now found that there was a 665cc version with an even longer stroke and this would explain why there would be a need to mark the flywheels appropriately. 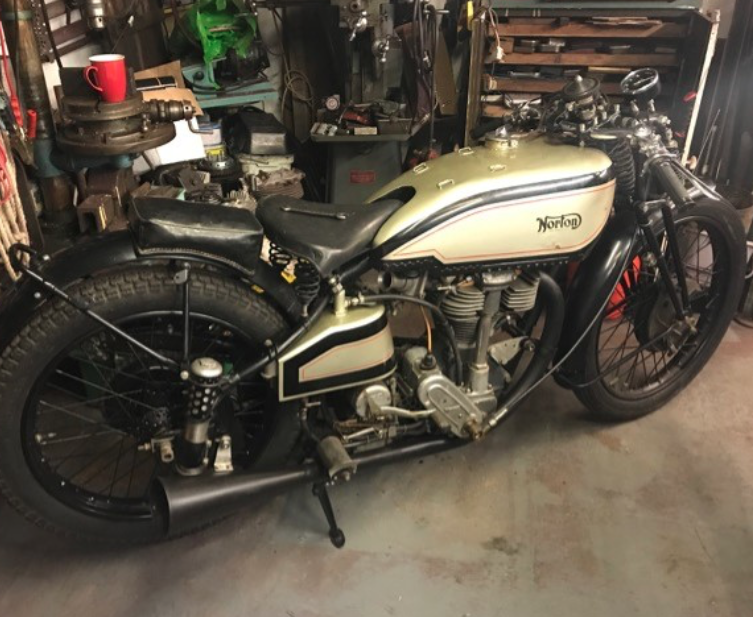 This led me to look at other possible later events where the engine could have been used and I found that a 633cc Norton was entered by Nigel for Bert to ride in April 1928 meeting postponed to May. This fits in with the development work for the Montlhery records but as both the 588 and 633 versions were entered. Bert finished second in two races on a 588 so it appears that that the 633 was not used in 1928 and the 665 was also a non starter. There was a 633 Norton used for sidecar events which could well have been the CS1. I still don't understand the KENT lettering though!" Here's an excerpt from the second of Roger's messages. 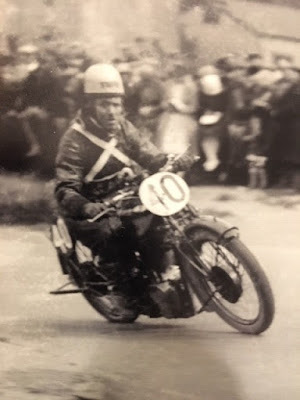 For those not into Brooklands activities in the pre-war era, Parry-Thomas was a successful and innovative driver who lost his life in a world speed record attempt on the Pendine Sands driving his chain driven special 'Babs.' As Roger mentions, he also ran an engineering business at the track. "I have a possible solution to the KENT stamp on the crankcase of the 633 CS1. Following the death of Parry-Thomas in 1927, Ken Thomson joined with Ken Taylor to take over the running of Thomas Inventions Ltd. - becoming Thomson and Taylor Ltd. Nigel Spring's accounts showed that they used Thomas Inventions for a lot of their engineering work which was not surprising as they were based at the track. It is likely that T&T carried out machining work on the crankcases of the Bain 633 engine ... The CS1 engine would have been put together in the spring of 1928 when the T&T company name had not been formally established so they were stamped KenT but all in uppercase as lowercase stamps are rare." -SG- Richard has sent us the amusing anecdote which follows about his contacts with the late Dr C! 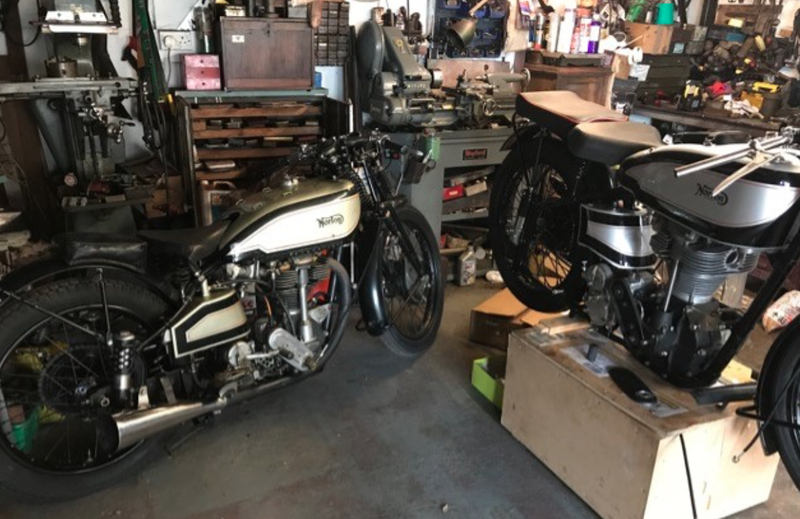 "I had bought his Flat Tank Norton book and that inspired me to get a vintage OHV Norton. This project turned up in the Bonham’s Stafford auction in 2011 and mine was the winning bid. I had hardly put my bidding number down when George rushed up to me and said “you’ll be needing an oil tank for that … and by the way, I have one in my car outside”. So we trotted off outside and, sure enough, he had one. Well I didn’t have on me the few hundred pounds in cash that he was asking so I asked him to “put my name on it” and we could sort out the details later. 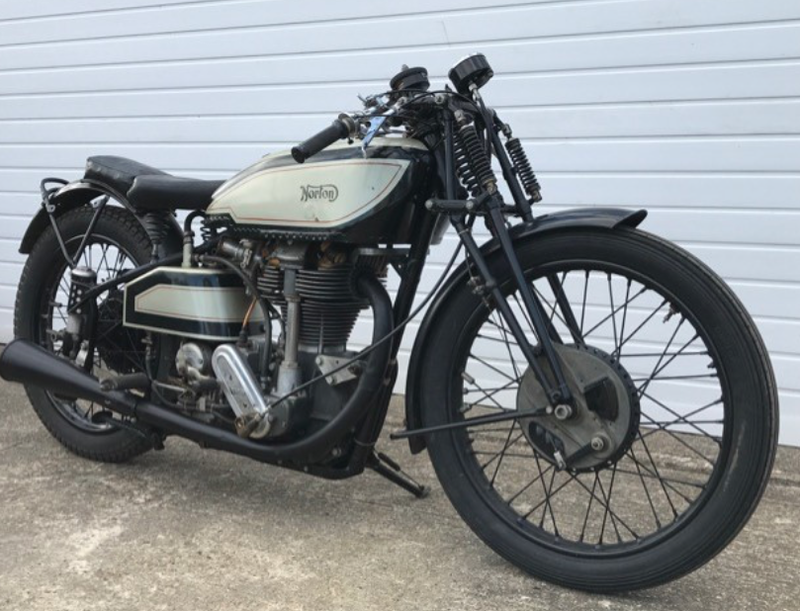 At that time, I was doing NSA sprints on a 500cc methanol JAP engined Levis and I was going regularly to Weston Zoyland down in the West Country. It turned out that George didn’t live too far away from Weston Zoyland and, as the sprint meetings were held on both days at weekends, I went over see George on a Sunday and skipped the 2nd day of sprinting. George showed me around his collection and workshop, we “did the deal” on the oiltank and, as I was also missing engine plates, we traced round an engine plate on a piece of cardboard. George then suggested we go to the pub in his car. Well, I had no idea he had this Brasier with a huge v8 Hispano Suiza aero engine with each bank poking out each side of the car and external chain drive to the rear wheels. The starting procedure involved me squirting 'easystart' into the intake manifold – with my hand just about touching the massive flywheel, while George cranked it over on the starter. Anyway, it soon fired up and off we set to the pub. George did not drive slowly! It really was a 'Toad-of-Toad Hall' scene. George in his characteristic flat cap hunched over the wheel, a massive brass rev counter in front (this engine peaked at about 2000 rpm), brakes only on the back wheels and the road from George's house barely wide enough for one car. I was hanging on like grim death (you don’t really sit “in” the car, more “on” it) and trying to avoid dangling my left arm over the side to avoid the chain … when another car driven by a young lady appeared at the bottom of the lane. There was no way in the world George was going to stop, even if he could, and this young lady, luckily in a small modern “something”, literally drove off the road and somehow managed to get her car up the verge sufficiently for George to steam past. I’ll never forget the look of fright/surprise on that poor girl's face. Anyway, after that I got to know George better and visited him a few times for bits and pieces; he was always helpful with his practical knowledge of early Nortons. Something must have rubbed off as I ‘m nearly completion of my 3rd Model 18 restoration!"